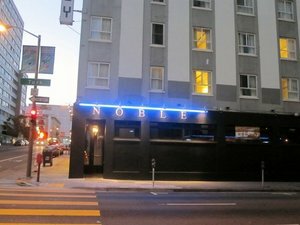 We have an update on the upcoming beer-centric arcade bar in the Castro from Shawn Vergara (Blackbird) and his sister, Tiffny Vergara Chung. It’s going to be called ~BREWCADE~, and the plan is to open this November. 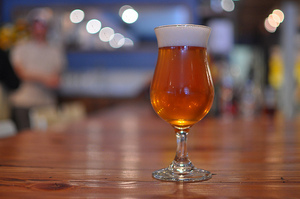 They have brought on Kai Villegas (most recently at Monk’s Kettle) as GM, and will have 25 handcrafted beers on tap and 5 wines to go with the 20-plus vintage arcade games. There will also be a “Munchie Bar” (4505 chicharrones, caramel corn by CC Made) and a “Soda Pop Bar.” Since it’s next door to the soon-to-open Bandidos Mexican restaurant, you’ll also be able to bring food into the bar. 2200 Market St. #102 at 15th St. Meanwhile, over in the Portola neighborhood is an upcoming nano-brewery, homebrew supply shop, taproom, and brewery incubator (yeah, it’s time to get out of your garage) called ~FERMENT DRINK REPEAT~ from Kevin and Shae Inglin (a husband-and-wife team). According to their Facebook manifesto, they want to “incubate the professional brewers and craft beer brands of tomorrow through collaborative endeavors across the amateur and professional brewing spectrum.” You can read and learn a lot more about their plans on their fundraising page. They hope to open in early 2015. 2636 San Bruno Ave. at Burrows. Swing by ~TORONADO~ on Wednesday August 13th to wish Almanac Beer Co. a happy birthday at their third anniversary party. They’ll be taking over the taps, pouring almost everything they have ever made. There will also be pie from Three Babes Bakeshop, and some special beer-infused items are on the docket. 6pm onward. 547 Haight St. at Steiner. Lastly, Sayre Piotrkowski and Collin McDonnell have started a podcast called The Beer Curmudgeons. Check out their first episode with Drake’s Brewing Company head brewer John Gillooly and craft beer intellect Ray Daniels. 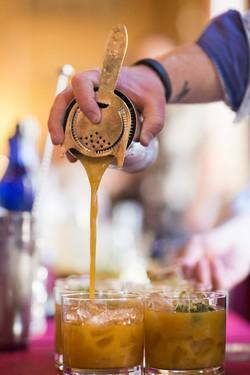 Pouring cocktails at Scala’s Bloody Mary Battle in 2013. Photo by Jonathan Fong via Facebook. ~SCALA’S BISTRO~ is throwing their third annual Bloody Mary Battle on Sunday August 24th from 12pm-2pm. Don’t miss delicious brunch beverages from bartenders at Rickhouse, Novela, La Urbana, and Bergerac, to name just a few. The competitors will be tasked with this year’s theme, “Anything but Red,” and you’ll be able to sample their colorful efforts and vote on the winner. Bites from Scala’s will keep you going, along with coffee from Mr. Espresso, and a portion of the proceeds will go the San Francisco-Marin Food Bank. Tickets are $30 general admission or $40 for VIP, which gets you in a half hour early.